For those of you who don’t know the Consumer Electronics Show, think about it as a gigantic tech demo. Technology companies from all over the world—big and small, rich and struggling—come together in Las Vegas to demonstrate their innovations. It’s grand, futuristic, and often quite pretty. It’s also full of things we’ll probably never need. This year had a lot of Internet-connected devices—everything from fridges to wall-mounted speakers to guns, of all things—but one of the biggest stand-outs for “things we’ll never need” was a product called Rollkers. The battery-powered shoe accessories were designed by a French company as a sustainable alternative to…walking, I guess…and they increase walking speed to 11 km/h (for context, the average human walking speed is between 3 and 7 km/h). World’s first eh? Well that’s a surprise. The company has assured everyone the “under shoes” require no training, they’re self-balanced, and you don’t need to walk any differently. Just walk like you normally would—you know, with a gigantic metal apparatus strapped to the bottom of your feet. Rollkers has no demonstration videos on their website. They’ve said you can just stop walking and the skates will stop, but there’s no proof of that. You’ll notice everyone skates right past in the video above. 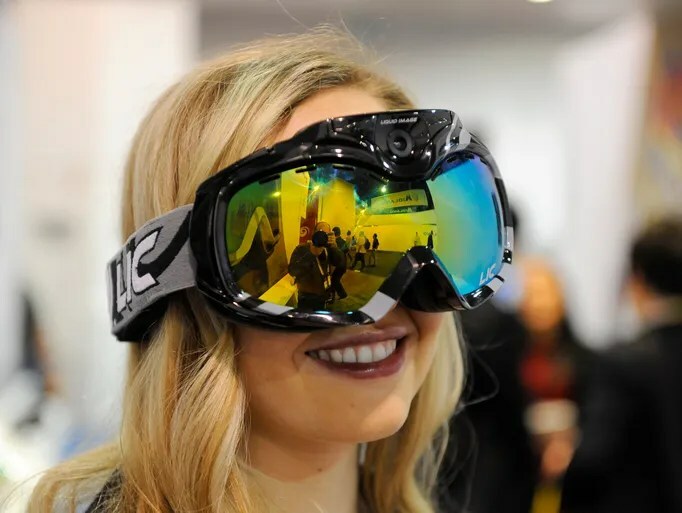 Every year CES has its busts—things that aren’t practical, don’t garner enough interest, or don’t solve a problem as well as they claim—and Rollkers just might be all three. 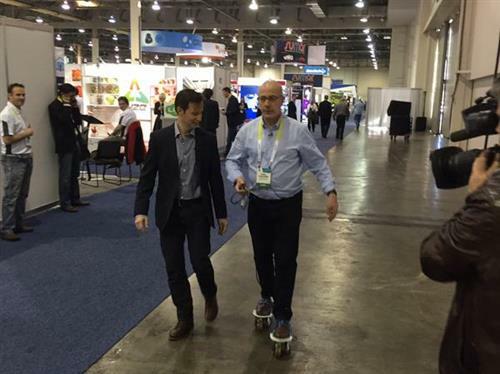 This entry was posted in Learning Stuff and tagged CES, CES 2015, roller skates, rollkers, technology. Bookmark the permalink.